I find it kind of amazing, that when you have nothing else to do, besides walking, and of course taking in the beauty of your surroundings, it’s quite easy to just keep walking. And walking. And eating. And walking some more. 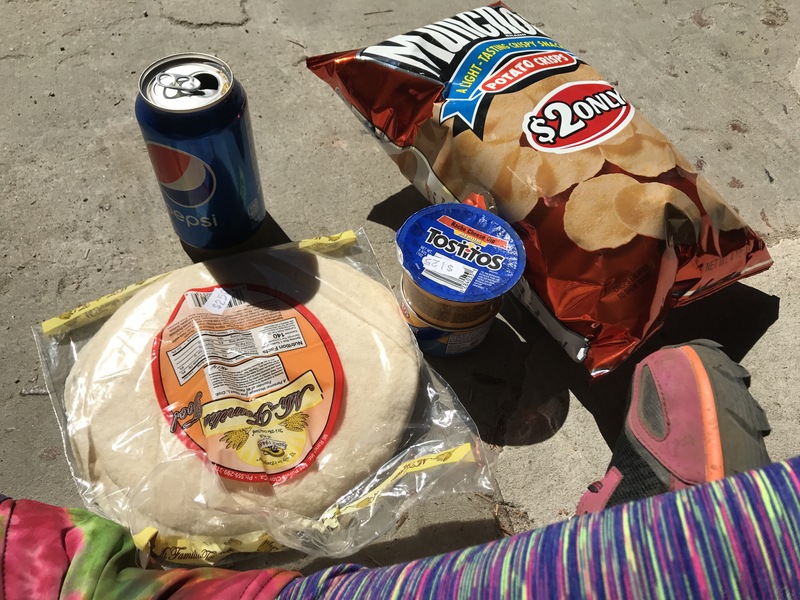 The first couple of days on the PCT have been a lot easier than I thought they would be. 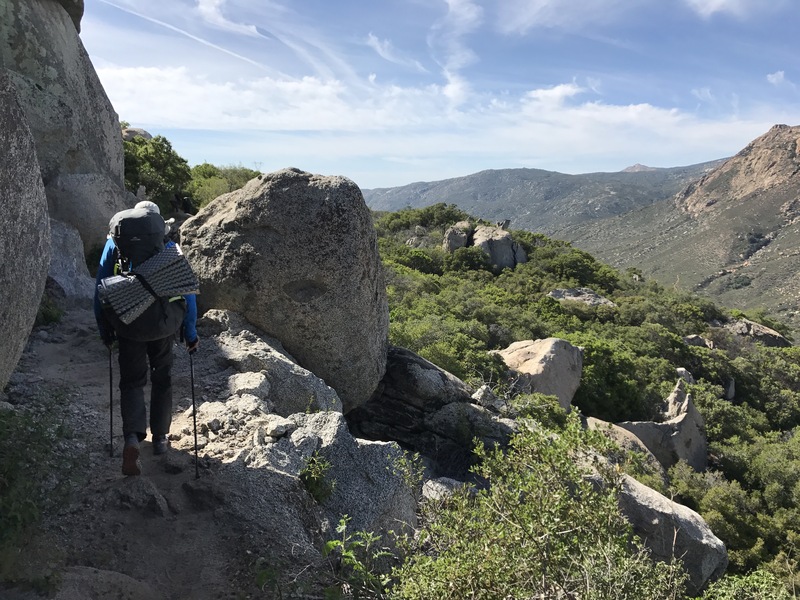 I thought I would be struggling, since it had been quite some time since I had been on the trail. It wasn’t. I was meant for this. These legs, they were meant to just keep waking. And walking. Ten miles a day, max, to start I thought. Well, like I said, when all you have to do is walk, I had plenty of day light left after ten miles, and my body wasn’t yelling at me yet. So, I just kept walking. And continued walking. The water was plentiful the first and second day, which I took for granted. I only carried about 2 liters of water on me at a time. I don’t drink a lot of water anyway, so I often wouldn’t even go through one liter before coming upon another water source. 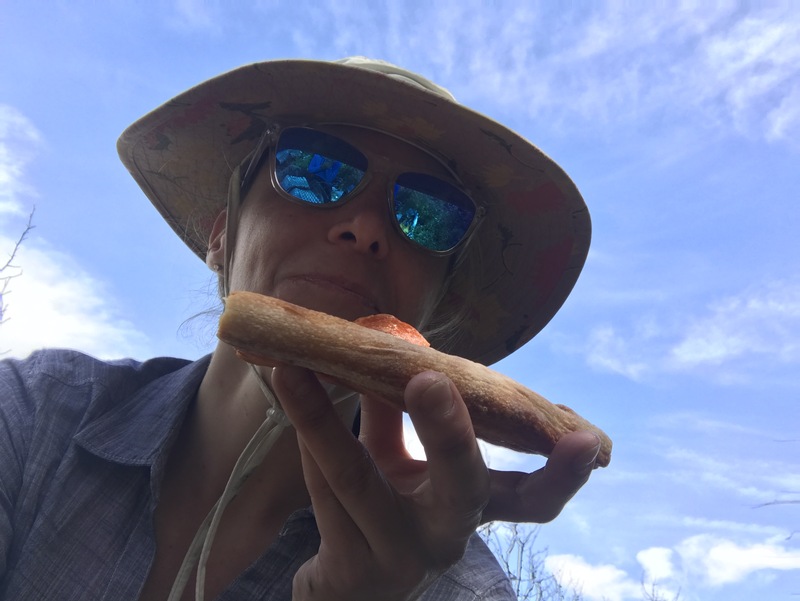 And of course I brought left over pizza in my pack. Yummy! We had previously decided upon the large camping area at mile 14.6. Well, about 0.6 miles from camp, I decided to take my first GoPro video and as I’m walking on a dirt road, taking the video, I missed the turn to continue on the PCT. Instead, I continued on this dirt road for about a mile before realizing I was no longer on the PCT. As I came into camp, people started clapping. Embarrassed? Haha a bit! Oops!! Sleeping with 20+ people in a camping area is not very favorable, as you can hear all of the snores, farts, coughs and squeaky sleeping pads (including my own), throughout the night. I decided, being a light sleeper, that I wouldn’t be doing that again! I was pretty worried I would wake up in so much agony on day two. That my body would be mad at me for all the work it wasn’t used to doing, that exhaustion would take over every muscle, that my mind would not want to continue to walk anymore. However, to my surprise, I woke up with no aches or pains, and a mind ready to hit the trail, despite the lack of sleep. And so I started walking again. And continued to walk for 19 miles. I continued to feel great. I was still in my happy place, for sure. You know what makes being in my happy place better? Watermelon!! Thanks Special K and Magic Dan for the awesome trail magic!! For those of you reading who don’t know what trail magic is, well, let me tell you. There are roads that thru-hikers have to cross throughout the 2,659 miles. Wonderful trail angels will set up a stand, a trunk of a car, or whatever they can find, and give hikers soda, beer, fruit, sandwiches, basically anything you can image. They are wonderful people and such a blessing to us hikers. Thank you to all those who take time and money to make us smile and make a rough day better. I was excited for my first town stop! I was up early and started walking. 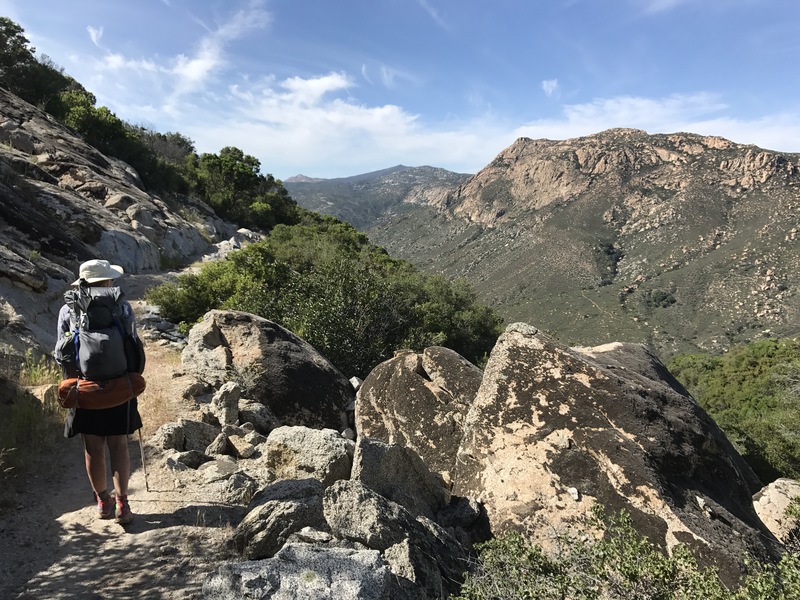 And just kept walking my happy feet right into the small town of Mount Laguna. 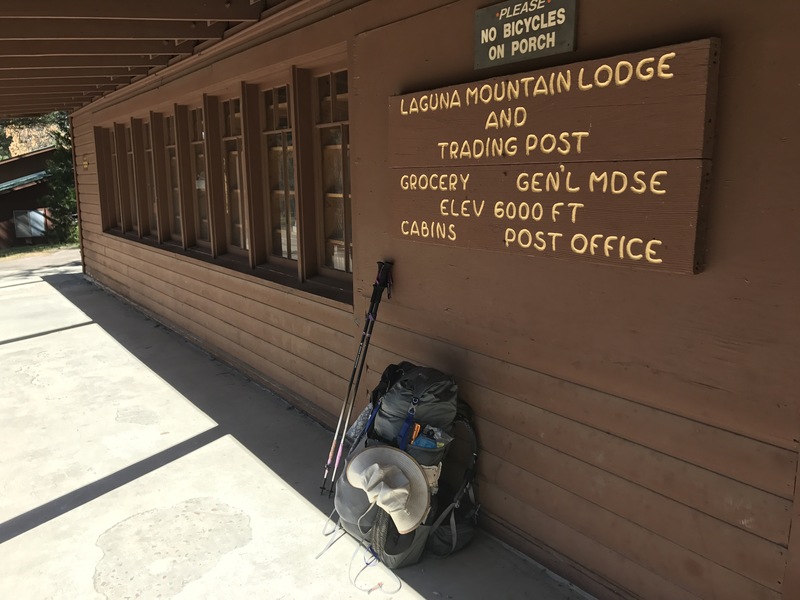 I called Mount Laguna Lodge, when I arrived in town at 10am, to get a room for the night. I wasn’t able to check in until 3pm, so I chatted it up with my fellow thru hikers and enjoyed the rest and relaxation. After a bit, I headed to the Mount Laguna Sports & Supply store to check it out, and get a shake down. Hotlegs was his name. 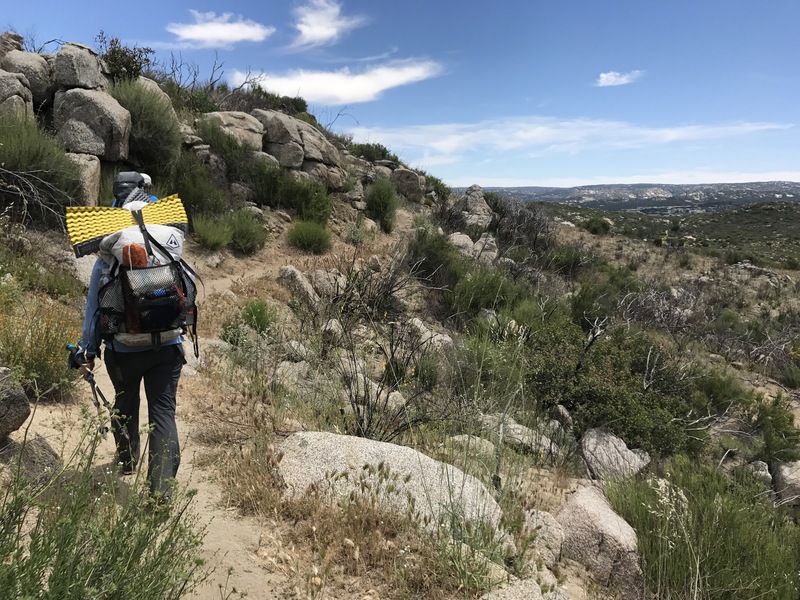 He had previously hiked the PCT and was about to set forth for the AT. He went through my gear with me and I was able to ditch 7lbs. I thought my baseweight originally was 20lbs… I don’t know what happenedand, but I managed to pickup enough “little things that didn’t weigh much” to have a baseweight of 27lbs… Yikes! Also, somewhat embarrassing! Now, I really am rocking a baseweight of 20lbs. I also came to the realization, that all I was doing was walking, and that became and is my job, that I didn’t want to pull out my camera or tripod. When I arrived at camp, I was too tired to take any photos there either. So, I sent my camera and tripod home, sadly. I’m waiting for all the “I told you sos” to come my way! I do not regret this decision and am quite happy with my phone and GoPro 5 for the remainder of the hike. I will have plenty of time for photography in 5 months! 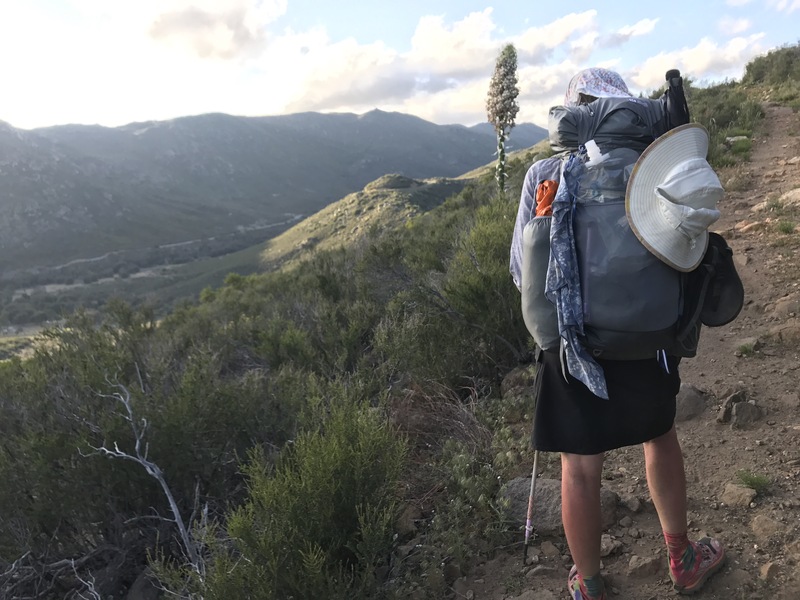 I wish I could say differently for all of you photographers wanting to hike the PCT and I so wanted to say different than all that I researched, but I found it to be extra weight that I wasn’t using at the end of the day. I have nothing but wonderful things to say about the gentlemen at Mount Laguna Lodge. 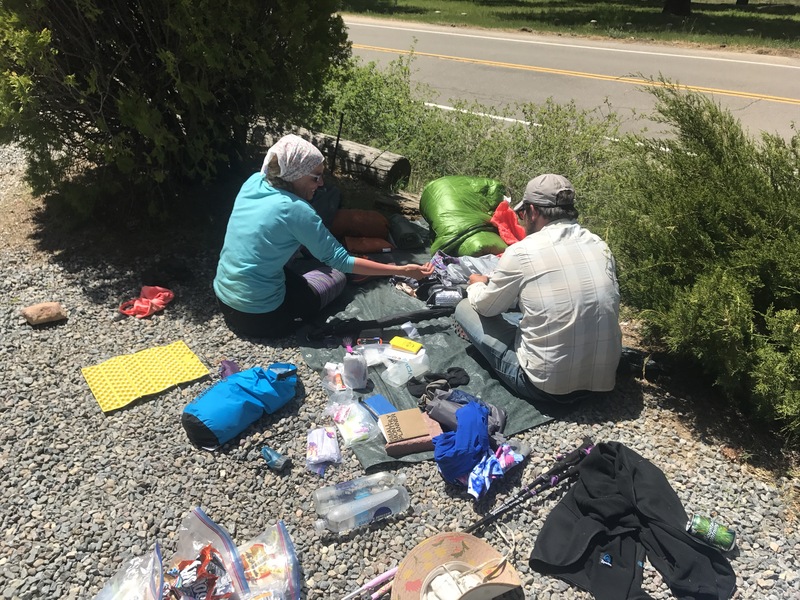 I did laundry the old fashioned way, I slept in a comfortable bed, had a hot shower and was nice and refreshed for the trail the following day. How will my feet handle the journey? 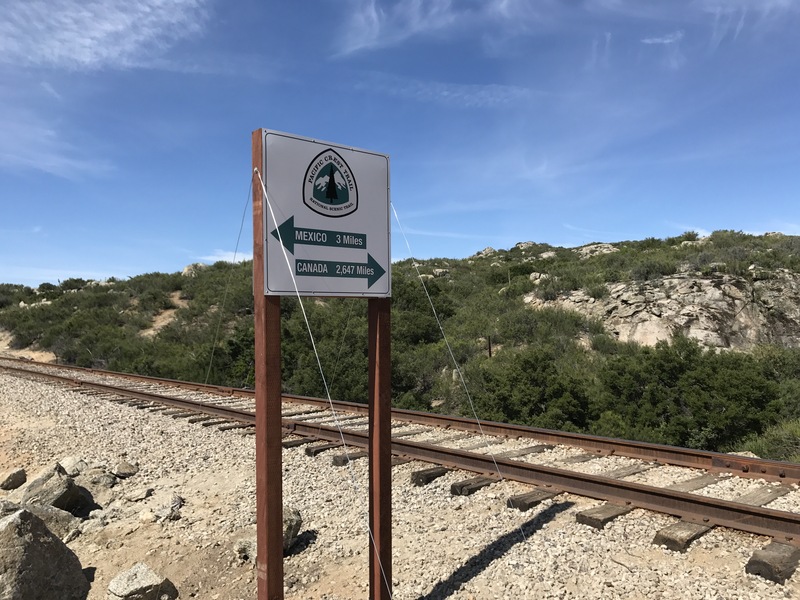 Stay tuned for my journey from Mount Laguna to Warner Springs! Until then, I’ll just keep walking! Was getting worried no post! Jk – I totally understand sending camera / tripod home. Sure it would be nice to have the time to take the pictures but if you factor in the time of stops and taking pictures like you mentioned and being beat at end of the day you are just carrying dead weight and I say smart move to send home. You really don’t have much time for pictures I imagine anyways as time is a valued thing being a thru hiker. I am very bad at overpacking myself – packing is a torture for me as a result. 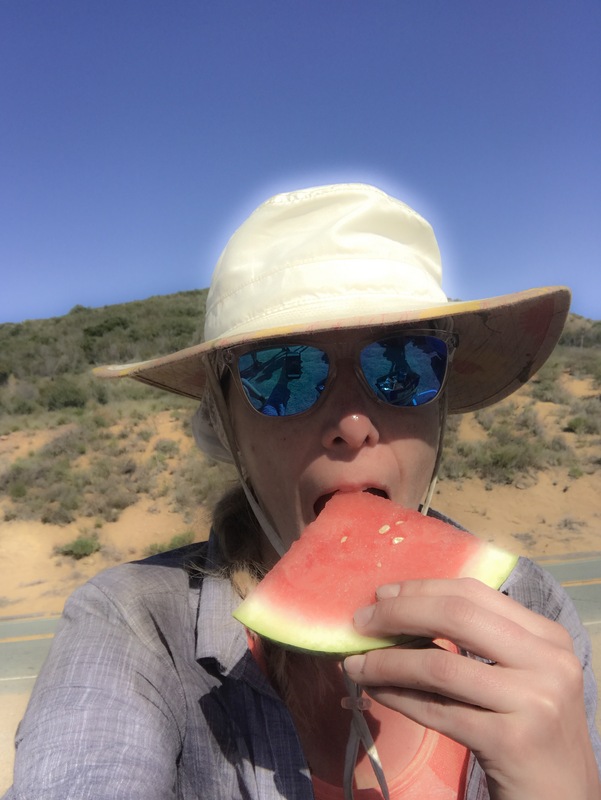 Glad you got a actual bed and shower time love – I am sure so much more appreciated after camping – sleeping on hard ground on PCT. Well keep on walkin! I am going to be on road myself for work to Spokane, LV, and MSP over the next month. I am going to get fried in LV being Seattle winter white. Much rather be cooked on the PCT! Safe walking DaniPCT!